Bill Gates and former President Bill Clinton testified this morning before the Senate Foreign Relations Committee on global health policy and the work of their respective foundations. At the hearing, Senator Jeanne Shaheen discussed her work on the CSIS Commission on Smart Global Health Policy and asked questions about accountability and family planning that were grounded in the Commission’s final report, to be released March 18. After entering an advance copy of the final report into the record, Senator Shaheen cited its emphasis on measuring the results of our assistance and asked the witnesses for their thoughts on accomplishing that goal. Mr. Gates observed that most global health money is already more accountable than any other money the government spends because policymakers know where it went and how many lives it saved. President Clinton said that we can build on these successes and carefully examine transaction and compliance costs to maximize the good the money does in the community. “You can keep score,” he said. 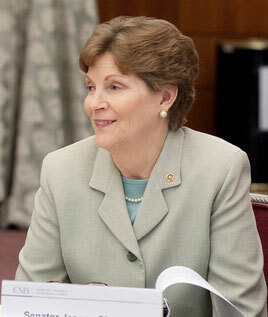 “For every $100 million invested in family planning,” said Senator Shaheen, quoting the Commission’s final report to open her second question, “4,000 maternal lives are saved, 70,000 infant deaths are prevented, and 825,000 abortions are averted.” What, she wondered, will move voluntary family planning from politically contentious to widely accepted as an effective and necessary tool? The best way to change minds is to see these things in action and talk to mothers, said Mr. Gates. President Clinton agreed, suggesting that opponents watch family planning practiced in the field. Pro-lifers hear family planning and think abortion, he said, but these organizations in action are profoundly pro-family and profoundly pro-life. Throughout the hearing, Mr. Gates and President Clinton applauded the success of the President’s Emergency Plan for AIDS Relief and the President’s Malaria Initiative and welcomed the arrival of the Obama administration Global Health Initiative. They argued for a greater focus on health systems and prevention, and they repeatedly emphasized the foreign policy dividends of global health work, which creates allies and improves the image of the United States. Admiral William J. Fallon: Global Health Matters to the U.S.